All Jet-A Fuel is Pre-Mixed with Prist additive. All fuel prices listed above include all taxes and fees. 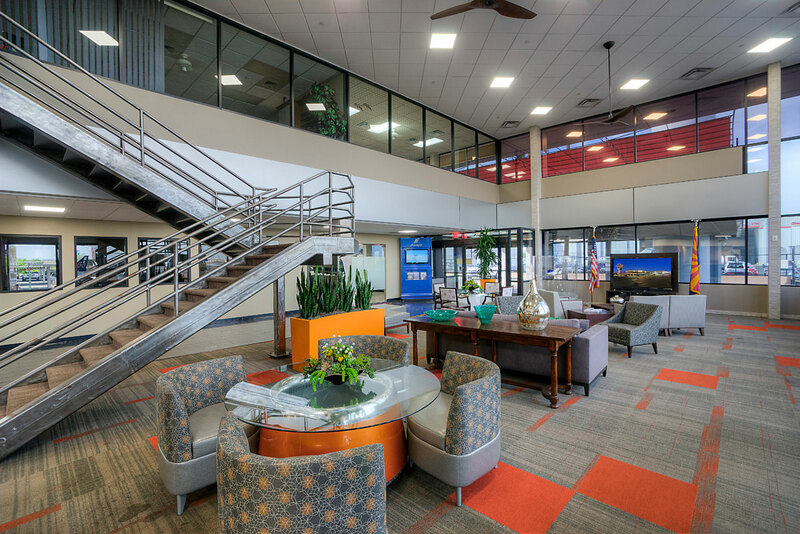 When choosing an FBO to serve you in the Phoenix / Scottsdale metro area, Cutter Aviation Phoenix Sky Harbor should be your first and only choice. 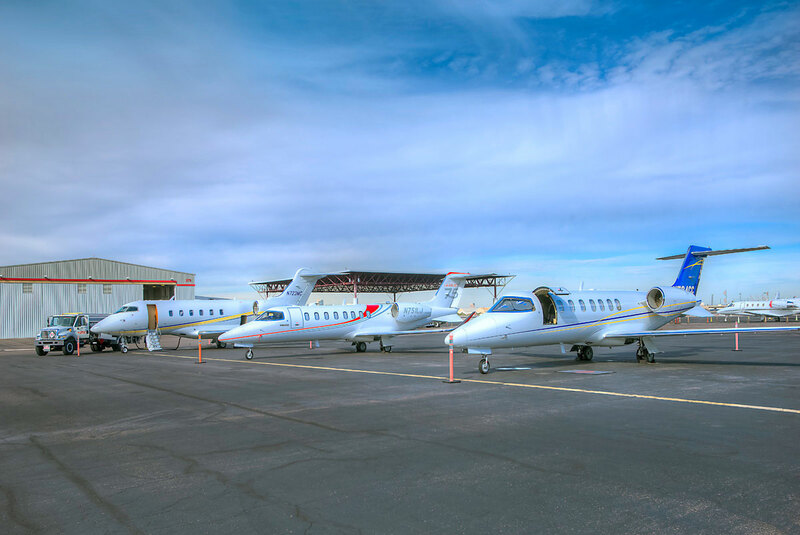 Conveniently located near the major freeways that serve the metro area, Cutter Aviation PHX is, in many cases, an easier drive to many of the resorts and corporations in the area and offers a wider array of services at a better value than Scottsdale Airport and others in the region. 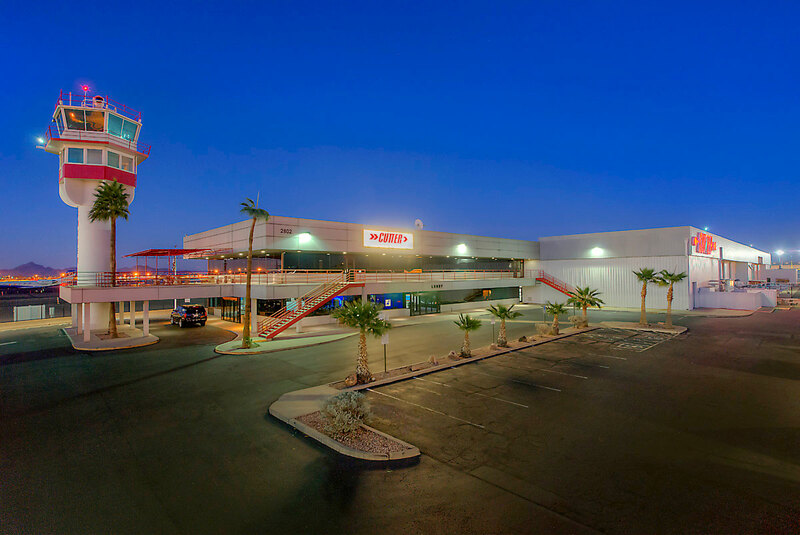 The Cutter Aviation Phoenix team is focused on maximizing your comfort and convenience from start to finish. 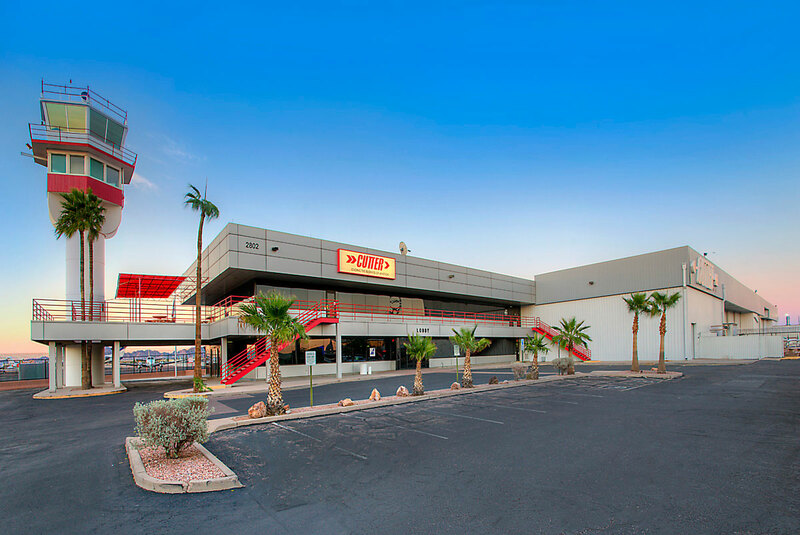 You’ll find a full range of services and outstanding pilot comfort benefits at our premier Phoenix Sky Harbor location as well as a full-service aircraft maintenance & avionics facility, aircraft sales department, and on-demand air charter. Cutter Aviation is proud to offer full line service at Phoenix Sky Harbor using high-quality Phillips 66 Aviation Fuels (Jet-A and 100LL). 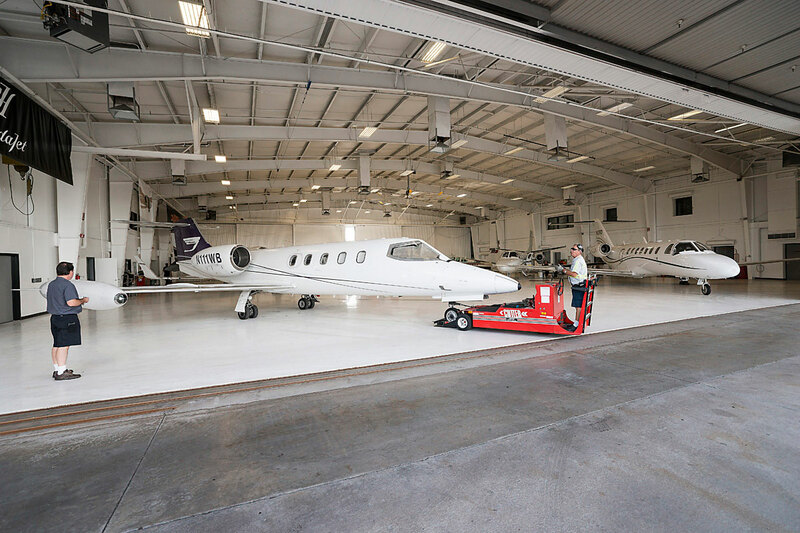 We also offer aircraft ramp space & service for aircraft up to airliner-class size and have secure hangar space for aircraft up to Gulfstream G-550 size. Our experienced NATA “Safety 1st” trained staff is highly trained on providing the best in safety, customer service, and efficiency when caring for your passengers, crew and aircraft. 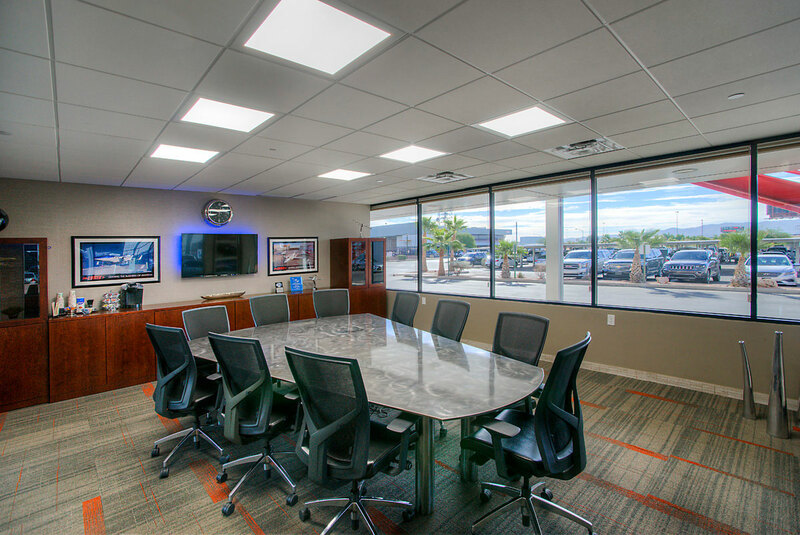 The following are our personal selections of several of our favorite spots nearby Phoenix Sky Harbor airport. We would be glad to make further recommendations based on your preferences. The Valley of the Sun offers exciting and fun attractions all year round! 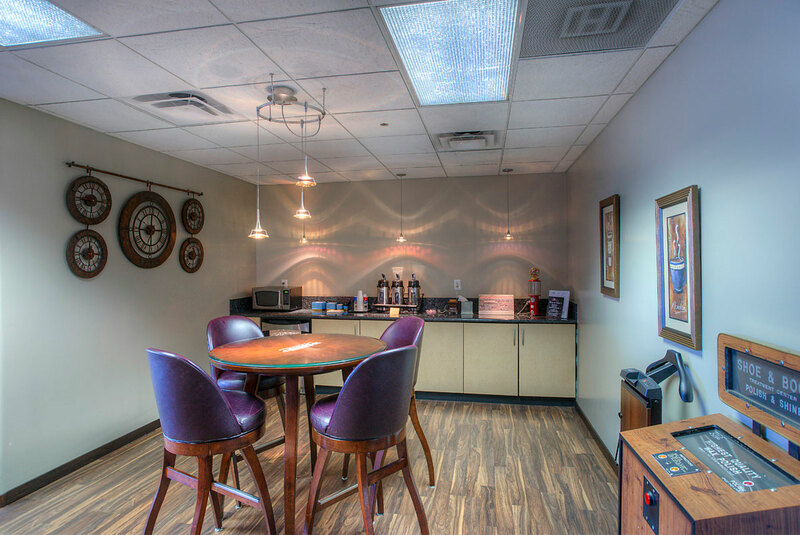 Allow us to make reservations for you and you’ll enjoy the Cutter Aviation discount at select properties. Call us at (602) 273-1237. 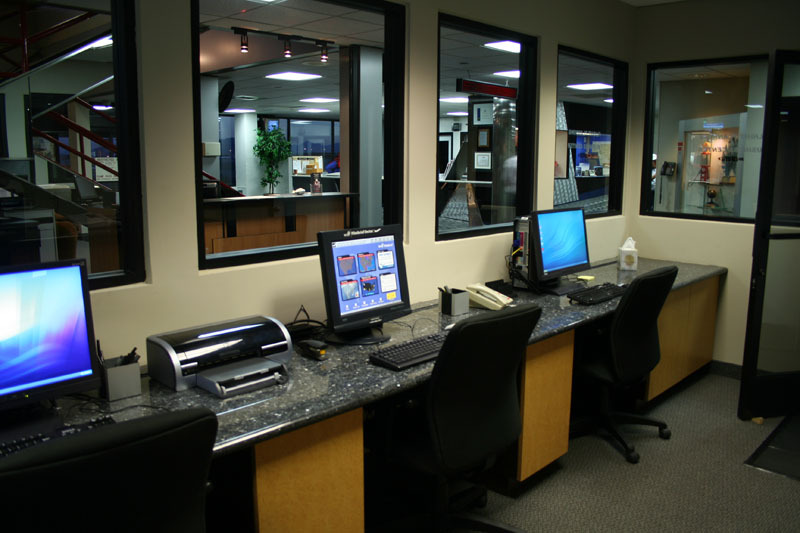 We are pleased that our customers go out of their way to share their visit experience to our Cutter locations. We are proud to share these testimonials with you. Visit our testimonials page for more customer comments or to share your own Cutter experience. Great FBO. Excellent service and very nice facilities. 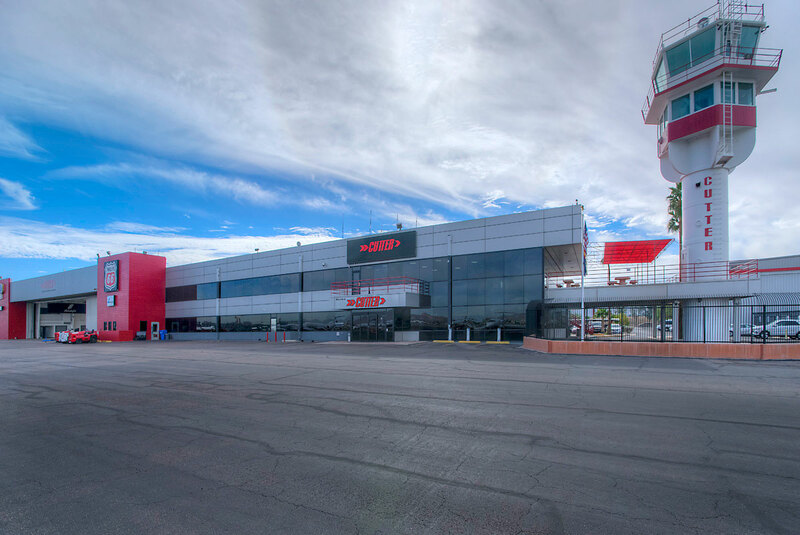 No need to be intimidated by Sky Harbor. Very easy in and out. I'll be back again. Thanks a lot Cutter. Had such a nice experience the first time that I came back a week or so later. Rented a car at Cutter (Enterprise I think) and they were fantastic. The linemen drove the car right out to our airplane (Cessna 180), signed the paperwork there and we were on our way in minutes. Great customer service! Upon return we dropped off the keys at the front desk, paid for our $25 worth of 100LL (to avoid the ramp fee), and were on our way. Be advised there's a City of Phoenix landing fee that Cutter cannot waive. I can't recall the exact amount but it was 5 or 10 bucks tops. NOTE - if you're going to fly into PHX VFR you NEED to have the Terminal Chart. The controllers will send you to many of the points referenced on that chart - they're also in your Garmin GPS but you have to have the identifiers from the Terminal Chart to find them (you can pronounce the identifiers). Also pay attention to the transitions over PHX. You'll likely be asked to use one of them direct to a downwind/base. 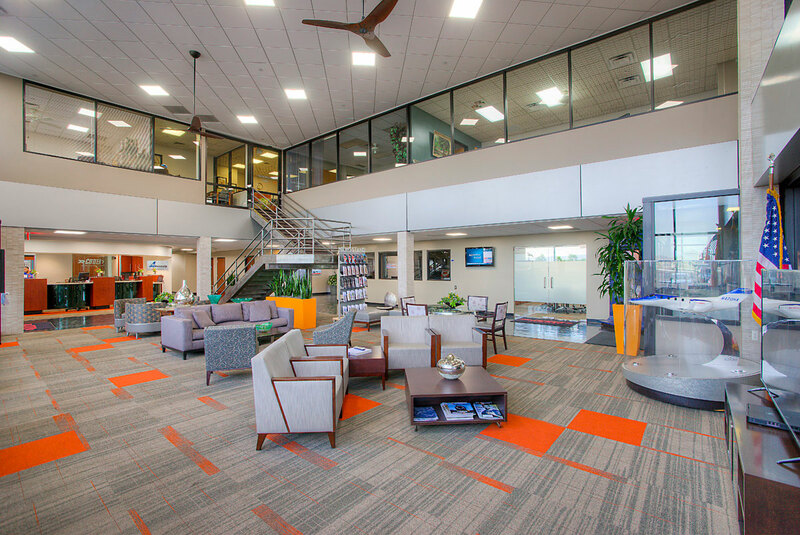 I have had the pleasure of flying into every Cutter Aviation FBO and all have been a great experience. They are there planeside when we arrive with cars or whatever we need. 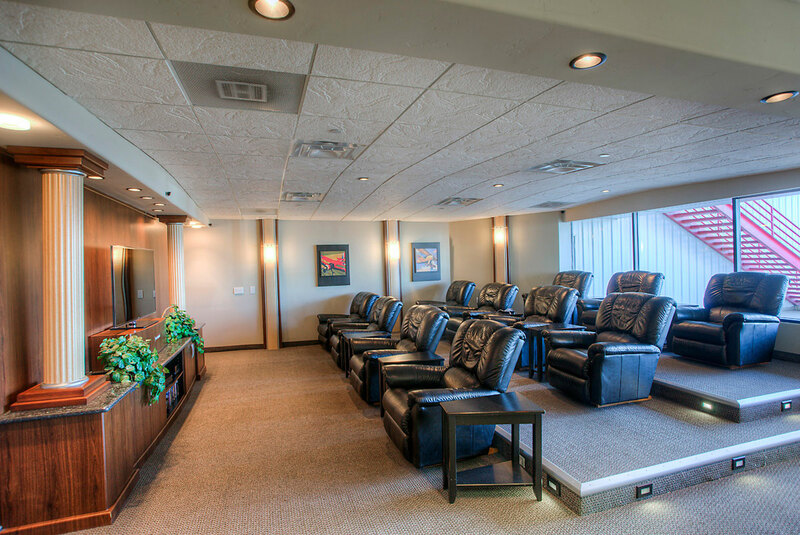 We have maintenance done on our planes at PHX and ADS and both are top notch facilities! We came to KPHX for the Labor Day weekend in our C182 and parked at Cutter. We were welcomed with cold-water offer the moment we opened the doors. We were helped with the luggage and gave a ride to the terminal building. Later, as the FBO was not very busy at the moment, we were given a free ride to our hotel in Scottsdale. A couple of days later, when started to taxi for departure, we have experienced the G1000 AHRS failure. Turned out Cutter is an authorized repair station for Garmin and indeed, the problems were fixed in a day. Overall it all made one of the best FBO experiences we had ever. 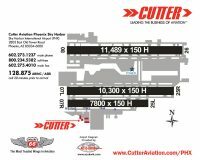 I highly recommend using Cutter any time you are in Phoenix area. Warm thanks to David and Dwayne from Service and especially to Janessa! Great Cutter service. Rebekah at the desk did an outstanding job getting us a good hotel deal and driving us to the downtown hotel in their courtesy van. We called in our fuel order the following morning, and Cutter arranged to pick us up at the hotel. Aircraft was ready and fueled when we arrived. We'll be back. After regularly flying into Cutter for at least the past 15 years, I figure I owe them a review. Cutter is about as good as it gets. Their overnight fees have been minimally increased over the years, but it's still only $25 per night for my twin. I consider that a bargain for a major Class B airport -- especially for the luxury facilities and phenomenal service. They give this exceptional service all hours of the day and night. From top to bottom, they are a class act. We were met at the airplane with our rental cars upon arrival. Hotels were arranged as requested. Line service was great. Friendly and helpful. Always great service. Super Cutter service. Had intended to be at Cutter on Sunday evening Jun 26 for an RON. Got stuck enroute and Cutter took care of my hotel reservation cancellation like true Champs. Got into Cutter on the 27th and they were excellent, refueled and gone with cart service to and from the plane. Considering this is an Archer II I was impressed. 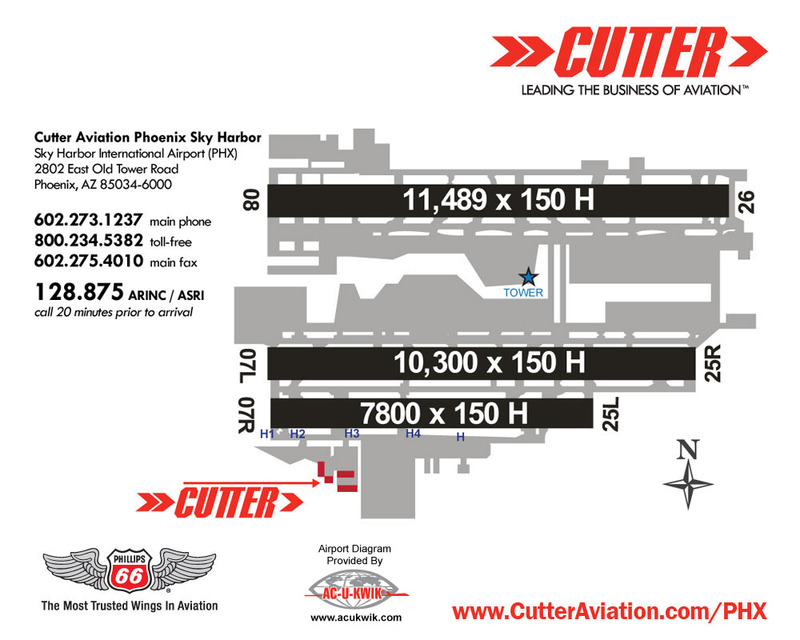 We love Cutter at KPHX and will come back as much as we can. From the line guys to the desk staff - nothing but top notch performance. They treated my wife and I like we were their best customers and our C-172 like a Gulfstream. Welcome truck was waiting as we came in, fuel and a windshield wash as requested, and very clean/modern facilities. Alex and Megan gave us rides to & from our hotel, which is greatly appreciated. These two fine ladies deliver Class A customer service with a smile. How does Cutter hire and retain such gems? I am sure other FBOs would love to know their secret. ATC - Even in our little Cessna, the approach and tower controllers welcomed us in. Nothing scary about this airport as long as your communication skills are sharp. I just wanted to let you know what an outstanding job your crew did today on both of our quick-turns! They were on top of It! Also, Jenna handled all my requests I had via email and she did a wonderful job! She made my job easy. I wish all FBO’s were as well run as yours! AWESOME! I was in a little single engine piston, but these guys gave me service as though I was flying a BBJ. (I'm used to getting neglected at big airports, but not here). We sent one of our customers here (I work for AirShares) and he called me later to rave about the fantastic service he received as well. 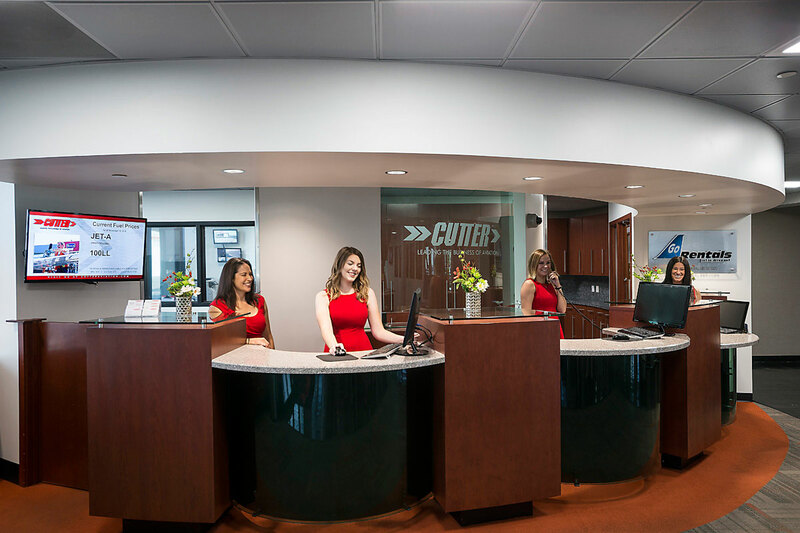 If you are looking for an incredible facility and incredible service, then go to Cutter. They are the BEST! I flew into KPHX for a seminar. Cutter took great care of my Malibu and me. Getting in and out of the GA side of KPHX was very easy, and the staff was very polite and efficient. Nothing but good things to say. Thanks. I had never flown into Sky Harbor (usually going to Scottsdale). My conference was only 4 miles from Sky Harbor so I thought I'd take a chance on the "Big Airport" hassles and higher costs. Although the fuel is more expense than most Phoenix area airports, it's still less than Scottsdale. I used Cutter's courtesy shuttle to and from my hotel and saved on renting a car. Everyone at Cutter was fantastically nice and helpful. The controllers were also friendly and helpful. A final note. 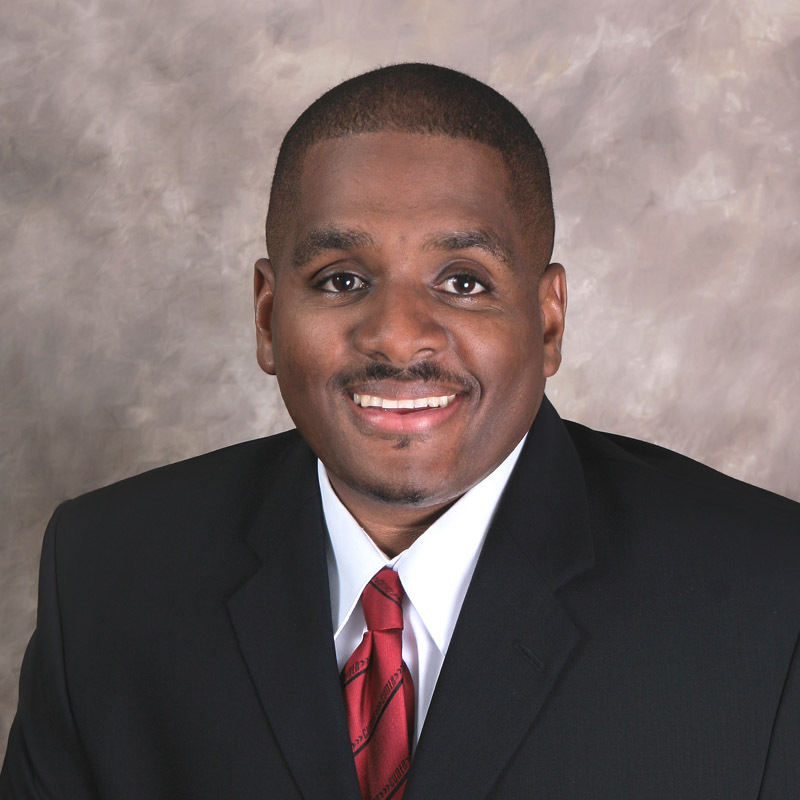 When I got home I realized I had been charged a $75/day ramp fee (with the first day waived). I called them today and they immediately recognized the mistake (I have a Mirage and they charged me the Meridian rate). They refunded the difference to my credit card. First class service all around. 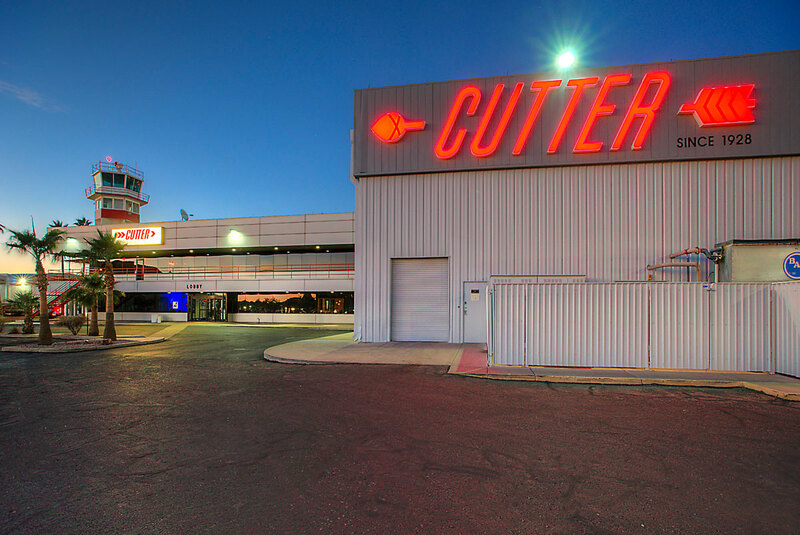 I'll certainly use Cutter the next time I'm in Phoenix. Fantastic service. I was met by a Follow Me van as soon as I taxied onto their ramp. The line staff had transferred my luggage to the van to take me to the passenger terminal before I had even gotten out of the airplane. I was at my gate 20 minutes after landing. Everyone smiled and thanked me for my business. Gulfstream service for a guy in a Cirrus! I'll definitely be back! Top Notch service!! From the desk ladies to the line service couldn't have been better. Really 1st class all-around. Staff was very helpful. Let me use crew car. Will definitely use again. Another positive Cutter experience. Parked overnight and the only charge for a light piston single aircraft was for the 14 gallons of fuel I purchased. They also gave me a ride to and from my motel. One of my passengers in the morning was suffering from breakfast food poisoning and the people behind the front counter gave him some sick sacks just in case. This is the fifth time we have taken our C-182 to PHX and Cutter Aviation. We get fewer inbound delays when we come in on a flight plan than VFR un-announced, but the controllers are great and the folks at Cutter do a five star job. Hotel rates through Cutter keep us coming back. Amazing service coming and going. They assisted me in finding a different rental car since Hertz would not accept a return on Sunday. When we arrived, our rental car was waiting on the ramp and driven to our plane. We were given ice-cold waters and they helped us unload the plane. 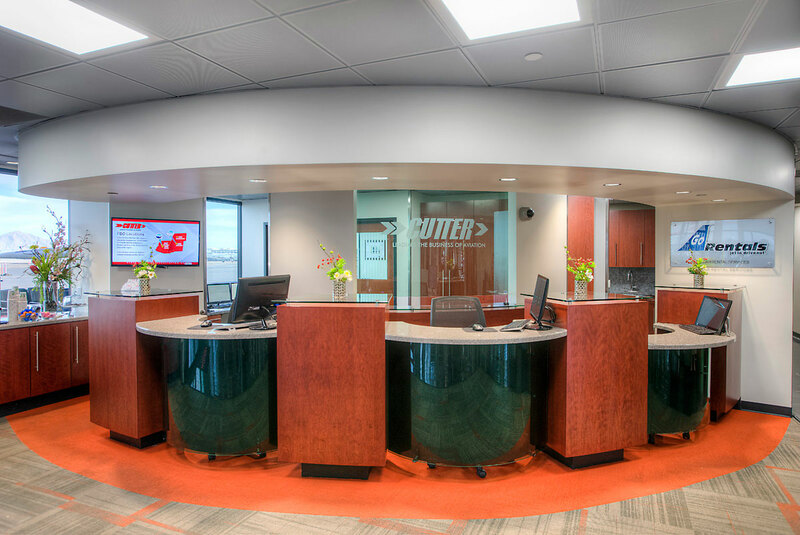 All the folks at Cutter Aviation sure make the experience of flying into Deer Valley Airport a pleasant one. We visited KPHX in our Mooney for a short meeting at a nearby hotel. 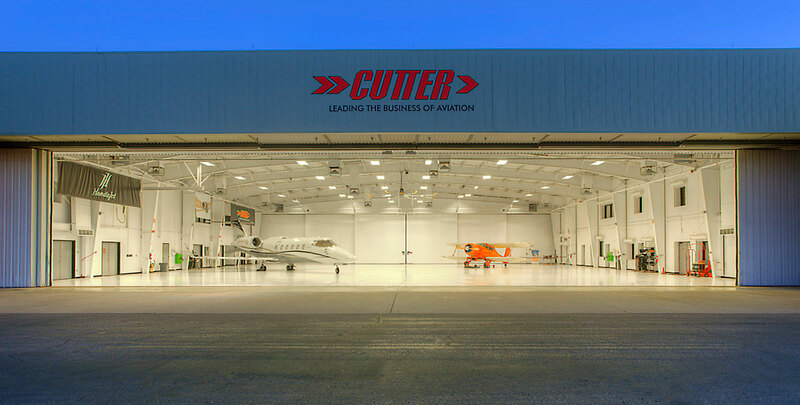 We parked at Cutter, the best FBO we have found in more than 43 years of flying to many locations across the country. 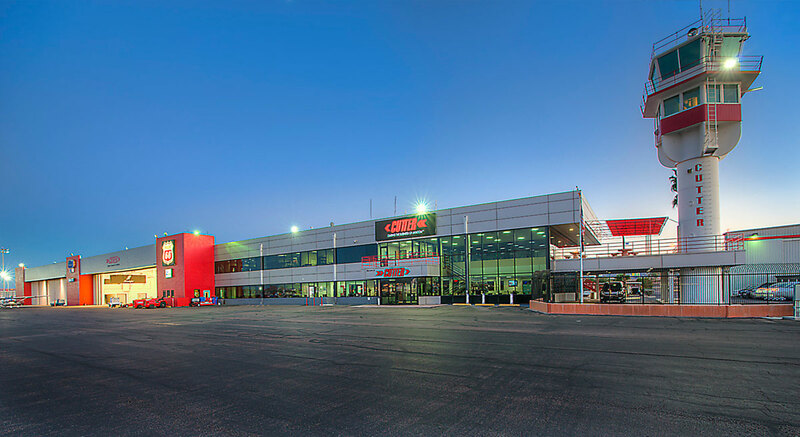 A friendly member of the Cutter Professional Staff met us at our airplane and drove us to their modern facility where they arranged the loan of a crew car and offered us bottled water. We provided them with identification and were escorted to their parking lot and given the keys to a nearly new car. When we returned about 2 hours later we were only charged for the 7 gallons of fuel we purchased but not for the car or the parking. The entire staff was friendly, efficient and helpful. 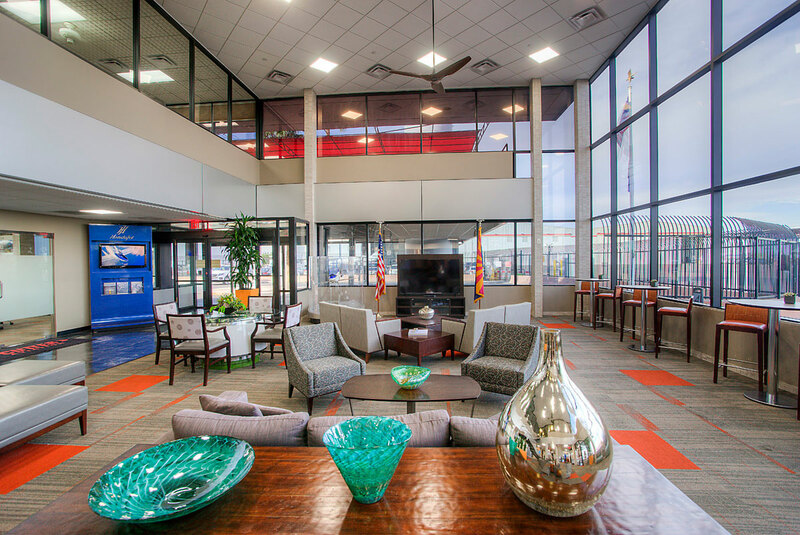 A better FBO does not exist!